What's left for Virat Kohli to achieve in ODIs? You'd think Virat Kohli has done it all in one-day internationals – and all at the age of just 30. Yet, as someone who constantly strives to set standards of excellence, there are still mountains he (and his fans) would want him to scale. Kohli scored his 39th ODI century in the second match against Australia in Adelaide. 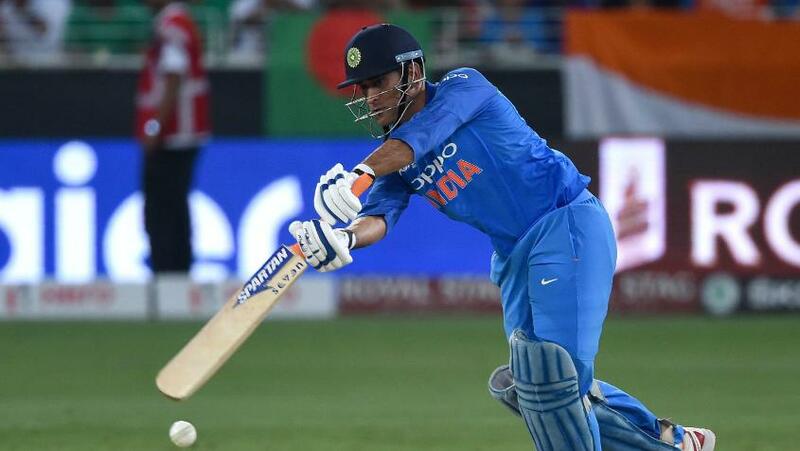 His masterful 104, coupled with MS Dhoni's unbeaten 55, helped India chase down a target of 299 with four balls to spare. The visitors eventually won the three-match series 2-1 – the same scoreline with which they clinched the historic four-Test series that preceded it. That was his 21st century in successful run chases, which is the most among Indian batsmen. In 2018, he amassed 1202 runs in 14 innings at 133.55, figures which meant nobody was surprised when he was named ICC ODI Player of the Year and the captain of the ICC ODI Team of the Year. He was also awarded the Sir Garfield Sobers Trophy for ICC Cricketer of the Year. And while he is now the fifth Indian batsman to surpass 10,000 ODI runs, there are records that seem to be in his grasp and he might like to break in his career. Here are five of them. While Kohli's 10,000 runs before turning 30 make a phenomenal achievement, he is still some way behind his idol and India great Sachin Tendulkar's all-time highest tally of 18,426 runs. The protégé has time to get there and given the way he has been scoring runs, it is possible that he will get there. It's a tough one, though. Kohli's 39 ODI hundreds are the second-most by any Indian batsman after Tendulkar. Another list on which Kohli is behind Tendulkar is the list of top century makers. Kohli's 39 sits nicely behind Tendulkar's 49 and the 10-century gap is most likely be bridged before the difference between their career runs is. Kohli scored six centuries in 2018 and had scored six in 2017 – that makes it 12 in two years. With him in the prime of his career, it shouldn't be long before Kohli gets to a half-century of centuries. Tendulkar was the first to get there, then Virender Sehwag. Martin Guptill and Chris Gayle have got there too, and Sharma now has three. But Kohli, for all his conversion prowess, hasn't quite made it to the double-century mark, perhaps because the men mentioned are/were all openers and he is not. Kohli's highest is the 183 he made against Pakistan in 2012. He has four scores above 150; his challenge now is to go on and get a double. Kohli scored 558 runs in six innings in South Africa last year. Brilliant, but well behind the record – Greg Chappell's 686 in the three-nation series in Australia in 1980-81. That, however, was over 14 innings, and no one has scored more runs than Kohli in a series of fewer than 10 matches. Maybe at the ICC Cricket World Cup 2019, where he will get more games? Remember Kumar Sangakkara at the ICC Cricket World Cup 2015? The four he hit in a row is a record. There are eight men with three in a row. Kohli has scored two in two before. This one will be a biggie if he gets it.